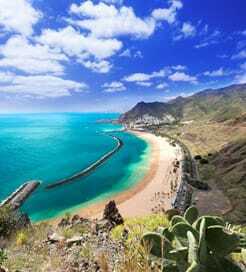 Located around three hundred kilometres off the northwest coast of Africa, Tenerife is the largest and probably best known of the Spanish Canary Islands group. Tenerife is a hub for travel around the Canaries and features two airports, two ferry ports, a direct ferry crossing to mainland Spain and numerous inter island connections. For more information, please visit our Ferries from Gran Canaria to Tenerife page. For more information, please visit our Ferries from Lanzarote to Tenerife page. For more information, please visit our Ferries from Fuerteventura to Tenerife page. For more information, please visit our Ferries from La Gomera to Tenerife page. For more information, please visit our Ferries from La Palma to Tenerife page. 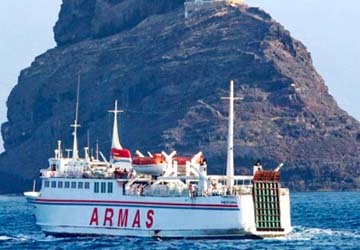 For more information, please visit our Ferries from El Hierro to Tenerife page.